When Emily Martin delivered the annual Lewis Henry Morgan Lectures at the University of Rochester in 1986, she took as her subject the meaning of money in China and the United States. Though the topic is of perennial interest—and never more so than in our era, when economic forecasts of China’s growing economy generate shallow news stories and public fear—the lectures were never edited for publication, so their rich analysis has been unavailable to anthropologists ever since. With this book—the first volume in a collaboration between Hau Books and the University of Rochester—Martin’s lectures are brought back, fully edited and richly illustrated. A new introduction by Martin herself brings her analysis wholly up to date, while an afterword by Jane I. Guyer and Sidney Mintz discusses Martin’s work, influence, and legacy. 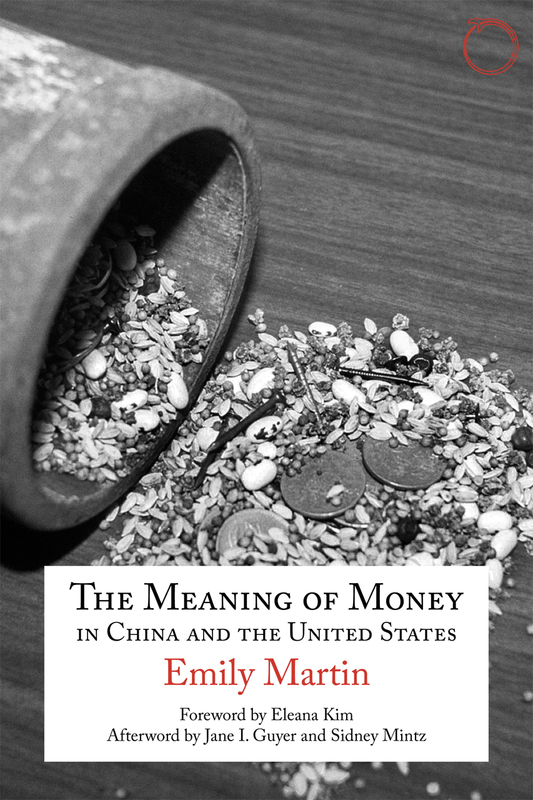 The Meaning of Money in China and the United States will instantly assume its rightful place as a classic in the field, with Martin’s insights as germane and productive as they were nearly thirty years ago. "China has been going through drastic transformation during the past 30 years since Martin’s lectures were delivered. Undeniably, the meaning of money has been quickly evolving, with a widespread collapse of belief in collectivist values and other socialist ethics among ordinary Chinese people caught up in the feverish chase after moneymaking. The intended scholarship of this book includes but is not limited to comparative cultural studies, the anthropology of money, and Chinese studies. Martin’s book will be valuable to these areas for two reasons. Empirically, what she observed is still useful for understanding today’s China, especially its less accessible peasant communities. More important, theoretically, the contrasts she describes between the meaning of money in China and in the United States directly relate to the two distinct worldviews of limited good and unlimited good, from which we might draw inspiration for sustainable development." "Martin’s book gains much through its careful framing. She writes of intellectual life at the Johns Hopkins anthropology department in the 1980s, and how this shaped her approach. This led her to combine the materialist and symbolic approaches popular at the time, and to seek to uncover ‘the traces of mind in matter’(7). In doing so, Martin emphasizes the extremes of money’s potential meanings and uses. Although this illustrates her model well, showing how money can function as socially integrating or socially disintegrating, I would have enjoyed further discussion of how these functions overlap, particularly in the latter two chapters. Nonetheless, the book makes an important contribution as a comparative work, and Martin’s analysis speaks powerfully to recent anthropological works on money and debt, as well as precarity and neoliberalism. Finally, the book is clearly written to bespoken and features many rich examples, making it immensely engaging and readable." "An interesting bonus of the book is that in Martin’s introduction as well as in Guyer’s and Mintz’s Afterword, we get a glimpse of the Anthropology Department at Johns Hopkins in the 1980s and the struggles to find a bridge between materialist and symbolic approaches. We also see the intellectual ferment there, with luminaries such as Claude Lévi-Strauss, Edmund Leach, and Fredrik Barth passing through. In sum, by publishing these historic lectures and reflections, HAU, Martin, Guyer, and Mintz have provided a valuable service to the profession." "Chaque année, depuis 1962, à l’Université de Rochester dans l’État de New York, ont lieu les Conférences Lewis Henry Morgan. Des anthropologues prestigieux s’y sont succédé notamment Meyer Fortes, Victor Turner, Marilyn Strathern, Ulf Hannerz… Le présent ouvrage reprend une communication d’Emily Martin faite en 1986 et qui n’avait pas été encore publiée. Une introduction et une postface ajoutées en 2015, réactualisent l’ensemble en soulignant l’expansion du capitalisme en Chine et son influence sur la scène publique, le monde du travail et la sphère privée. Emily Martin a réalisé deux terrains: l’un dans des villages chinois et taïwanais, notamment dans la région de Fujian, au cours de plusieurs séjours entre 1969 et 1975 (p. 14); l’autre, aux États-Unis, dans les années 1980. Des faits divers, des anecdotes de chefs d’entreprise réputés et des observations faites dans une église méthodiste à Baltimore, où se tenait un congrès sur le thème de la « pensée prospère » (prosperity thought) (p. 7), alimentent ce second terrain. Chez les méthodistes étudiés, l’argent est pensé de manière positive, comme « un médium d’échange donné par Dieu » (p. 112) qui distribue santé, prospérité, richesse à ceux qui l’honorent."